We like that Ralph Gilles, the Global Head of Design at Fiat Chrysler Automobiles, is a dreamer. The more he dreams and the more he sketches the more consumers get rewarded with some of the most amazing vehicles to scorch the tarmac. 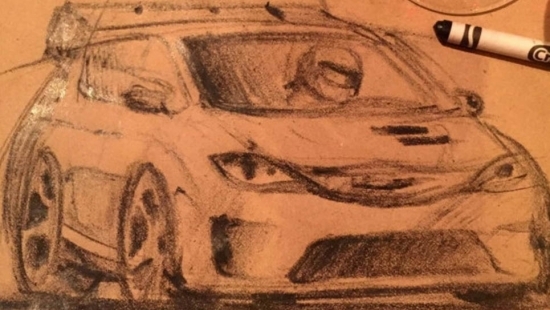 Recently, a crayon sketch of a Chrysler Pacifica on steroids created a storm on the internet. 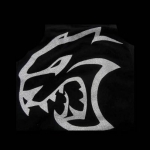 With all the recent talk about the release of a Cherokee Hellcat, one could only be led to think that this sketch is the initial imagining of a Pacifica Hellcat. Oh my and what a car that would be to go get some groceries in, or to lug the kids around to soccer practice! To be honest, the likelihood of a Pacifica Hellcat being produced is slim to none. First, engineers would have to figure out how to stuff a 6.2L V8 Hemi into the engine bay. 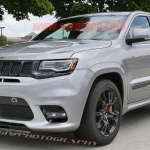 If they can get that done, they’ll have to contend with getting the eight speed automatic transmission in there to send all 707hp and 650lb/ft of torque to the rear wheels. 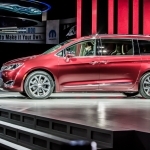 Just a reminder, the Chrysler Pacifica is designed to be a front engine front wheel drive car, with an optional all wheel drive configuration. Thinking about the driveline reminds me of Renault’s attempt at a supercar minivan called the Espace F1 from the mid-90’s. And as predicted, Renault’s monster minivan was also purely a concept and never slated for production. Regardless if a Pacifica Hellcat is to ever be produced, it’s dreamers like Gilles who continue to keep the automotive industry pushing forward to new limits and keeps the enthusiasts and car lovers dreams alive. 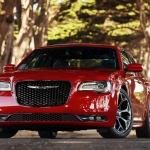 Will there be a Front Wheel Drive Chrysler 300?